SNGR Romgaz (ISIN US83367U2050) – A chance to participate in a Romanian revival at a large discount ? Romgaz, the recently privatized Romanian Natural gas producer looks like a pretty cheap play on the success of privatisation in Romania. Additional tail winds could come from the recently elected ethnic German President who wants to fight corruption and intends to repeat the business friendly and succesful model of his hometown Sibiu where he was mayor for 14 years. Depending on the underlying value of the natural gas resources, the stock could have a potential upside between +50% in a pesimistic case and 200% in an otimistic one. Disclosure & Risk: The stock presented is clearly risky and quite illiquid. The author might have bought shares before publishing this. Please do your own research !!! 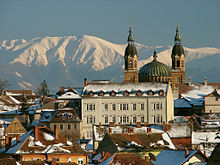 Romania is part of the European union, however it is the second poorest member, only trailed by neighbouring Bulgaria. The country never really recovered from the financial crisis and many Romanians left the country to work all over Europe. Last week, something quite interesting happened in Romania: An ethnic German was elected as new President of Romania. In Romania, the President has a lot more power and influence than for instance in Germany, I think one can compare it to France. Clearly, this election alone will no be enough, as for instance his opponent for the President’s job is still prime minister. nevertheless the vote should be a huge plus for Romania going forward, both as the new president seems to be trustworthy and anti-corruption as well a pro business and economy. So how did the Romanian stock market react ? Ummm, if we look at the BET index, it didn’t react at all. Actually Romanian stocks are down since the election, so no “Modi Mania” for Romania it seems. One can speculate why this is the case, but in my opinion the Romanian Stock market is too small and so off-the-beaten-track that just no one bothered with it. And Romanians themselves do not really invest in stocks. Why Romgaz ? Well that one is easy: This is the only Romanian stock you are able to invest if you don’t have access to the Bukarest Stock Exchange. There are no ETFs on Romania either. Romgaz is a Natural Gas producer (“upstream”) with around 50% market share in Romania. Romania produces most of its own natural gas. In contrast to OMV-Petrom, its domestic rival, Romgaz only does “on shore” production,. The great thing about a recent IPO is, that one usually gets the best information about the company and the sector through the IPO prospectus, which is normally much more comprehensive than any annual report. + many additional assets like gas storage (90% of total storage capacity), smaller distribution networks, power plant etc. complete price deregulation by 1 October 2014 for regulated customers and by 1 October 2018 for non-regulated customers. For non-household customers, the price of domestic gas is to increase from 49 RON/MWh, as of 1 February 2013 to 119 RON/MWh, by 1 October 2014, and for household customers, the price is to increase from 45.7 RON/MWh, in 31 December 2012 to 119 RON/MWh, by 1 October 2018. Despite a windfall tax applied by the government, this development has been clearly positive for Romgaz with a 40% profit increase so far in 2014 against the prior year. Valuing commodity producers by “standard” metrics like P/E or P/B often misses the point. The main value of a commodity producer is clealy “the stuff in the ground” minus the costs to get it out. However normally it is quite difficult to value the “stuff in the ground”. In the Romgaz case however we are again quite lucky. Part of the IPO information package was an independent “resources report” carried out by a large and well known US specialist company. In this report, they calculate future “net revenue” including all costs taxes etc. and then come up with an NPV. In the Romgaz case, they actually created 3 scenarios: A base case, a low case and a high case. Addionally they provide NPVs for different discount rates, ranging from 8-15% p.a. So in order to fully value Romgaz we can do a relatively simple asset-based valuation: Using the value of the reserves from the report plus any “extra assets” like the storage facilities and the power plant. I think it is important to mention that this valuation does not give any credit to a potential exploration of new reserves, this is pure “run-off” only. In any case, even in the worst case, the stock would have a 50% upside to “fair” value, although the fair value would still imply that you make ~15% p.a. after this value has been achieved. In the more optimistic cases, the current stock price seems to represent an even higher upside. Clearly, there is no guarantee that this value will be realized within a short time frame, but it clearly should limit the downside and create a relatively attractive risk/return relationship. 1. there is less uncertainty with regard to property right etc. in Romania. Despite obvious issues with corruption, Romania has proven that Democracy works and it is full member of the European union. This should significantly lower the risk of any “Sistema scenario”. 2. Due to the privatization story, Romgaz is less exposed in the next years to overall market price fluctuations. In my opinion, Romgaz offers a compelling combination between a recently privatized company at a large discount to its underlying value and a potential “macro trigger” for Romania following the surprise election of an ethnic German as new President. As Romania is so “off the beaten track” for stocks, it might take some time to realize this value, but in between one is paid quite handsomely with a 7-8% dividend yield. As a result, I will enter into a 2,5% position as part of my “Emerging Markets” bucket at current prices (34 RON / 7,60 EUR per share). Overall, I expect to make ~100% over a 3-5 year horizon. 30-40% should come through dividends, the rest with price appreciation, mostly based on increased earnings. Downside factors to watch are clearly any government interventions (additional taxes, royalties), further upside could be realized if reserve replacement ratios develop better than expected. Did you Invest in the Share or the ADR ? To be precise: GDR (Global Depository Receipt). I don’t have access to teh Bukarest Exchange vie the brokers that I use. They increased the number of stocks 10-fold if I understand it correctly? So the P/E is now 150 or more, or that happned after IPO, so it is ok? That share increase was back in 2013, so the P/E is exactly the same as the one mentioned by mmi. The trailing PER for the past 12 months is ~10 now (with the financial data from Q3 2014). I’m worried about the royalties on this one, for instance the Ukraine put gas royalties up to 50%, doesn’t seem like a leap to assume Romania could do similar. Any idea of how the NPV estimates will be hit if such a big increase in tax goes through? Why exactly should Romania do the same as Ukraine ? What’s the similarity between those two countries ? Hello! Us and Ukraine are two quite different economies and cultures, just like Germany and France are – close geographically, but different in terms of culture. It’s understandable that people consider us similar – Easter Europe was always presented by the media as just some countries with a communist past that speak some kind of Russian (we don’t and never did). While the low level of royalties is indeed an issue that’s debated often in Romania for the past few months, there’s a very small chance we’ll get to 50% royalties (if you meant 50% of production value). I’m not saying that our country’s fiscal policy is predictable (or reliable) – it wasn’t in the past and it’s not much different nowadays. The oil & gas royalties is a special part of fiscal policy, though, with oil and gas companies (namely OMV) being great at negotiating royalties and having managed to keep this aspect of fiscal policy untouched for a few years (10 years to be more precise). A significant royalty increase will happen in the near future and it will affect companies like Romgaz – the current proposal is for royalties to be around 20-30% (up from around 10% – 15% now). This sounds like a fair level and it should allow Romgaz to still be a profitable company and investment in the medium and long term. I’m a Romanian investor with about 80% of my portfolio in local stocks. First of all: so glad to see you looking towards Romania – I’ve been reading your blog for the past 6 months and this comes as a great surprise (given you’re clearly a knowledgeable investor). About Romgaz: your analysis is very accurate given you’re not from around here and this is your first investment in Romania, so the prospectus must have been really well written. – I think you shouldn’t worry about future “donations” because the government did this in the past, when they had only one minority shareholder in the company. Now that the company is public, doing something like that would create uproar and the state can’t afford it. We are a different beast from Russia – we might both be Eastern European and both have a problem with corruption (although ours is being remedied now), but minority shareholders are pretty well protected. – There is a high risk of significant increases in royalty payments in the following years. This is the main reason why the stock is so cheap right now – the Government still hasn’t decided how much it should increase royalties, although it’s pretty clear that it will do it. – There won’t be a lot of reserves added to the company’s portfolio until it runs out of the current reserves. There are some good signs coming from the Black Sea exploration teams, but that’s about it as far as I know. Overall your expectations are in line with what local investors expect from the company and they’re probably spot on. Romania is, in my opinion, an interesting market and, if you’re interested in finding out more about our companies, I’ll gladly walk you through them one day. Just drop me and an email at the email address provided in the contact form. PS: Electrica is also a good investment, probably just as good as Romgaz (although it’s been recently affected by a new tax and its profitability depends on making the right investments and, with state representatives managing it, it’s a bit risky 🙂 ). Wird die Rumänische Quellensteuer auf Dividenden von 15% von deutschen Brokern automatisch angerechnet, so dass wir nur unsere 25% bezahlen? habe ich ehrlich gesagt keine Ahnung. Am besten beim Broker anrufen. Thank you, Martin for this great answer about this special German tax situation.! I bookmarked your link and also your blog agnostic-investing. I bought a small Romgaz position and am happy to pay only 1% additional taxes on the dividends. I like your idea a lot and recently happend to look at a Romanian company myself. Completely agree regarding your country analysis. This is a market which has been neglected so far and certainly has some problems, however is heading to a good direction and, having become an EU member, might have good chances to flourish. I also agree that recent political developments appear positive. The company I Iooked at is a electricity distribution business called Electrica SA myself. Electrica is a relatively similar story in that it was IPO’d recently and is now investable via GDRs traded in London. Electrica, like Romgaz, has commited to a distribute dividends and has a clean balance sheet. They are heavily regulated even though the regulatory regime appears relatively friendly. What I do not like about them is that they will need to spend a lot on capex in order to modernize their grids which Is one reason why I have not bought shares (yet). As for Romgaz, I agree that it looks cheap, however the fair value will heavily depend on the natgas commodity price. In the US, following the shale boom, nat gas prices have been as low as 3 USD per 1000 cubic feet which is around 110 USD per cubic meter and clearly below the bear case price. The fracking impact on Europe is nowhere the US and they will likely remain the case for some time. However, I was wondering what you think about the commodity price risk. thanks for the Electrica reference, I will look them up asap. With regard to the commodity price risk: I am not an expert on that one. In such cases I always consider the current price as the best benchmark. Fracking in Europe by the way seems to be already over before it has started. According to this relatively recent report (http://www.bloomberg.com/news/2014-10-09/fracking-setback-in-poland-dim-hopes-for-less-russian-gas.html) most exploration companies are already leaving Poland, which was supposed to be the most attractive shale gas area in Europe. As gas liquification and exports from the US are still a decade away, I am not that worried about too natural gas prices. But clearly, this is one of the major risks together with the political one. I do not see much commodity risk in the next 5 years. US fracking gas wont compete easily in Europe as liquefying the gas adds >25% on the commodity price (25% of the gas has to be burned to cool down the remaining 75% and building LNG terminals needs time) and market prices are higher in Asia. Europe has a fracking potential to produce 10% of its yearly demand (reduced from 30%, formations are too deep; anti-fracking movement risks not included). What should be on the radar is gas from Israel, Cyprus, Syria, Turkey, Greece and Egypt. The most of the reserves are not developed yet and they might need a pipeline as liquefying the gas might be too expensive in the long run. Develop the fields and build transportation (LNG terminals or pipelines) will take at least 5 years. Thanks MMI for your analysis! I will take a look! Very interesting stock and indeed a great balance sheet. I may have overread it, but what do you think about the currency risk? the last few years, the RON was remarkably stable. In the Euro crisis, the ron gained almost 20% against the EUR, although only for a short time. Overall I can live pretty well with the currency risk. I think, you never have a currency risk, when you invest in shares anywhere in the world. When you buy the shares, you pay in EURO, when you sell them, your get EURO. The currency of the home country of the shares can even have a hyper inflation like Zimbabwe – the value of your shares in EURO should never be affected directly. You do have a currency risk each time you invest abroad, i.e. in a non-Euro denominated security. Buying indirectly in Euro doesn´t mean there is any hedge against the currency risk. You have to consider the perspectives of the currency and the underlying business, e.g. a weak currency could help exports and the overall stock exchange, so stocks seem to have some positive impact whilst bonds have none if the currency of the securities is weak. If I look at my remaining Russian stock sistema, there seems to be quite significant currency risk…..
Currency risk is always present, especially if the underlying business is based in a foreign currency zone.